I have TONS of cheapy silver bangles that I have acquired. I mean really... how many silver bracelets can one girl own?...A LOT according to my jewelry drawer. So I decided to spruce some of them up! Pick a color you want to start with. 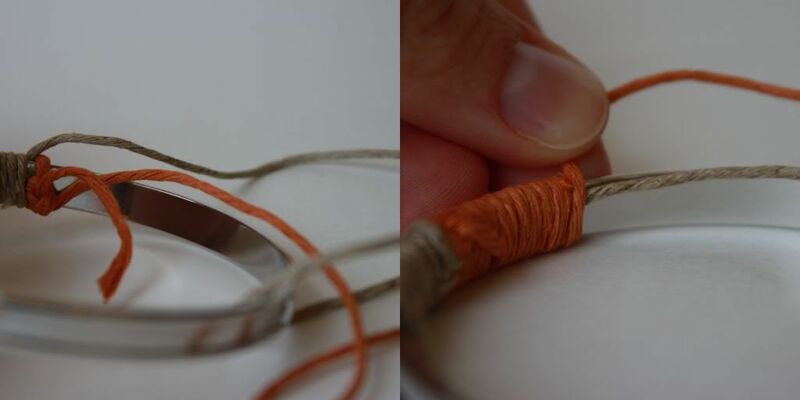 Tie a TIGHT double knot around the bracelet. 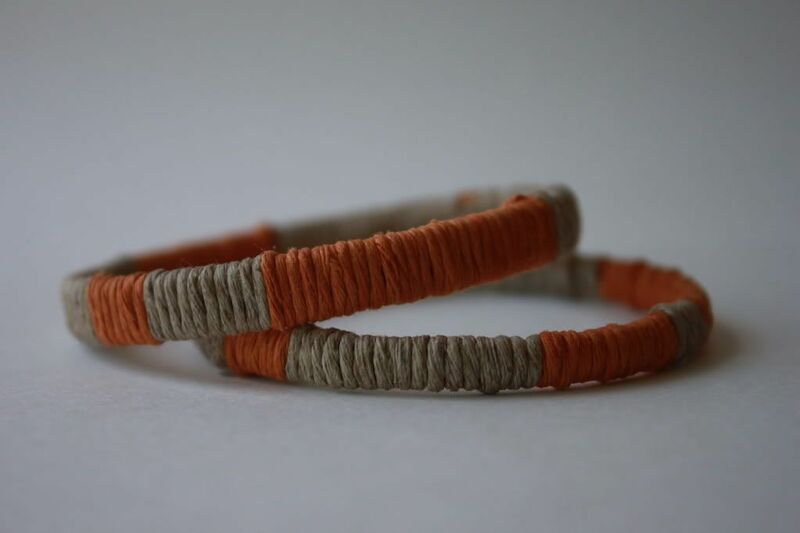 Start wrapping the hemp cord around the bracelet. 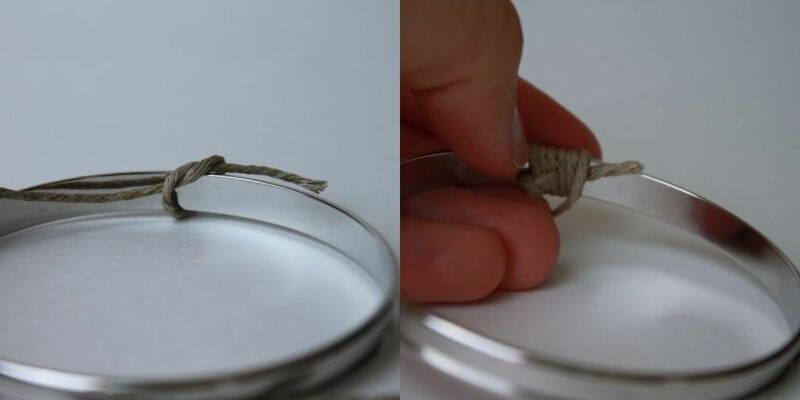 Tuck the strand from the knot (second picture) on the inside as you wrap. 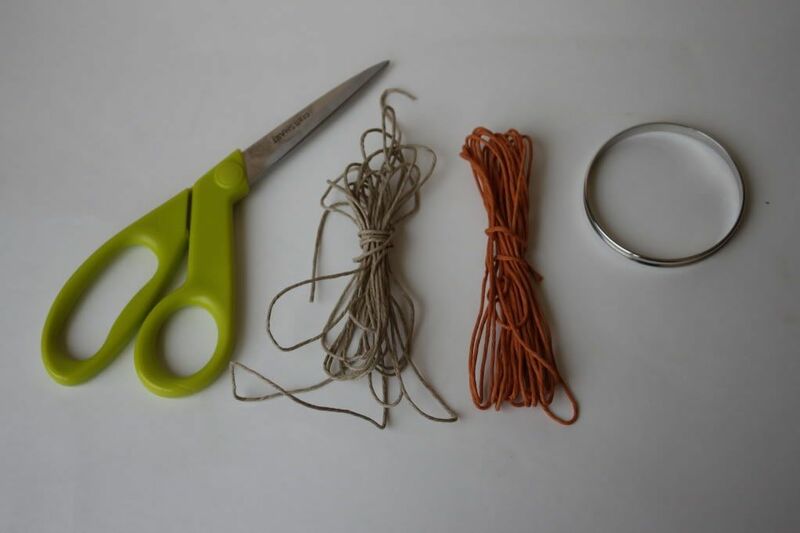 When you are ready to add your next color, tie a tight double knot next to were you left off with the previous color. Wrap like you did with the first color. Keep the other hemp string tucked behind. 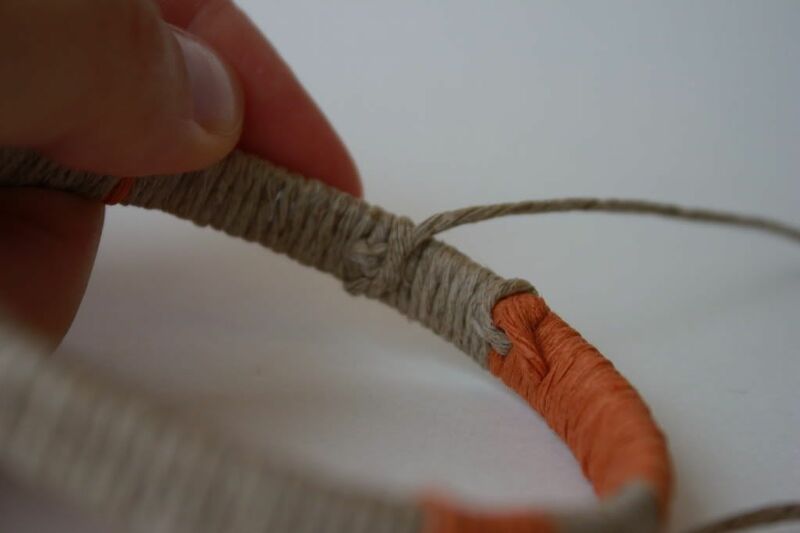 When you reach the end, double knot the cord and cut the loose end. These are really nice looking! I typically don't wear bangles because the clanking noise drives me nuts so since these are wrapped I am loving them even more. Bonus point for not requiring alot of supplies as well! Great job - how do we all end up with all those bangles?? - but this is a great transformation! So cute and SO simple!! Thank you for posting... I love them! wow so simple yet creative. Thanks for sharing and for dropping by my blog. Following you back ! Those are adorable such a neat idea! I love these!!! I too have way too many plain bangles that could definitely use a makeover. Can't wait to spruce them up this summer! I love these. Theyre adorable and so easy. Thanks for the instructions. way to go! this is awesome! 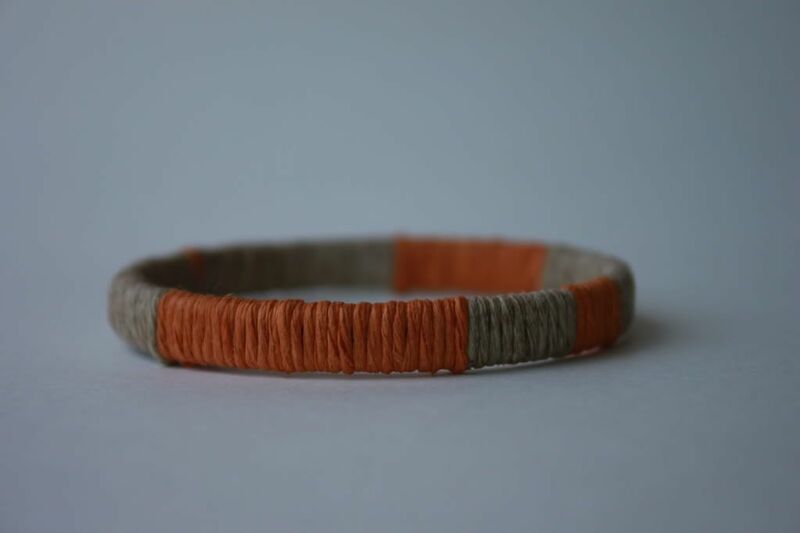 i have tons of bangles i dont wear anymore and this could be the ticket to spicing them up! thanks for sharing! these look awesome! 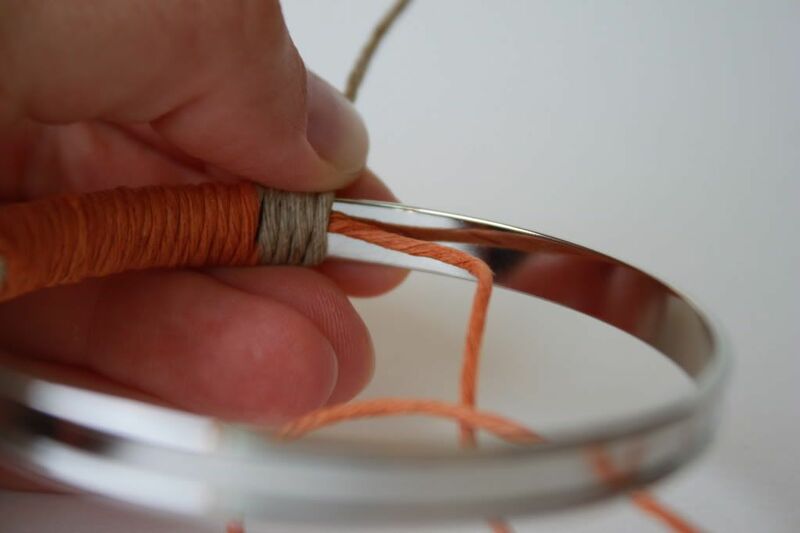 I'm totally inspired to re-make some bangles hanging out in my drawer...adding them to the neverending to-do list! Such a wonderful idea! i actually own no bnagles, but I'm sure something out of a hardware store would suffice! Awesome! Thanks for sharing! BTW thanks for visiting me. These are fantastic! They look like they came straight out of a J.Crew catalog. Ooh I love these!! I made some in a similar way, but with wool or embroidery thread rather than twine. What a great alternative though! What a fabulous idea! And a great tutorial. I love this project. Stop by and join our What I Made Wednesday Linky party...today is the last day to enter & you could be featured next week. these are cool! i hate the feel of the metal braclet on my wrist (*hence why i wear my watch over my sweater's!) ... this is a perfect way to get around that ! love it!!! These look really really nice!